The world is running out of time – average global temperatures are rising too fast and our planet is on a trajectory towards human catastrophe of a scale never seen before. The greenhouse gas emissions causing these temperature rises must peak by 2020 and be cut by 80 percent by 2050. It will be impossible to do this without a dramatic reduction in emissions from deforestation – which comprise about a fifth of the global total. Future generations will not forgive us if we fail to act despite knowing these facts. The people of Guyana are willing to act – as a country where almost 80% of our territory is rainforest, we stand ready to work with others who share our view t hat the world needs to break the false debate which suggests that a nation must choose between national development and combating climate change. greenhouse gases. Correcting this market failure is the only long-term solution to deforestation. Second, the UNFCCC and its Reduced Emissions from Deforestation and Degradation (REDD) program have made valuable progress on agreeing to include payments for forestry climate services within the global carbon markets. However this will not generate the breakthrough required on avoiding deforestation unless there is also first-order political direction and support from Heads of Government around the world. I very much welcomed the opportunity for Guyana to participate in the recent G20 side meeting on deforestation, where national leaders from the world’s leading economies and rainforest countries committed to take urgent action on deforestation. It is vital that this leadership is sustained. Finally, getting started is difficult. Rainforest countries are hesitant to commit to the long-term reorientation of their economies that solving this problem requires – because they are unsure of the predictability of forest payments. The rest of the international community is hesitant to support REDD at the scale required - because they are unsure about the technical and institutional mechanisms to be used to monitor and verify that global deforestation is being reduced. Many international organizations – including non-governmental organizations - are also keen to ensure that the inclusion of REDD in an international carbon market does not become an “escape route” for historic polluters by allowing them to avoid making the necessary cuts in their domestic emissions. This could be a recipe for a stalemate the world cannot afford. We need to find a way forward, and this draft strategy represents our views on how we can do this. In its current form, it is a starting point to gather the input of all sectors of Guyanese society. The involvement of our indigenous peoples is particularly vital. Our Amerindians have protected our forests for generations; a sizeable component of forest land is under their jurisdiction and their insights will be valuable not only for their own communities, but for the rest of Guyana and the wider world. Similarly, elected representatives from all political parties are critical to long-term success. Despite our other differences, successive Guyanese governments of different parties have long provided strong leadership to the world on the need to protect our forests. Members of Parliament and all other sectors of our society can make extremely valuable contributions to t he national consultation of which this draft strategy is part. 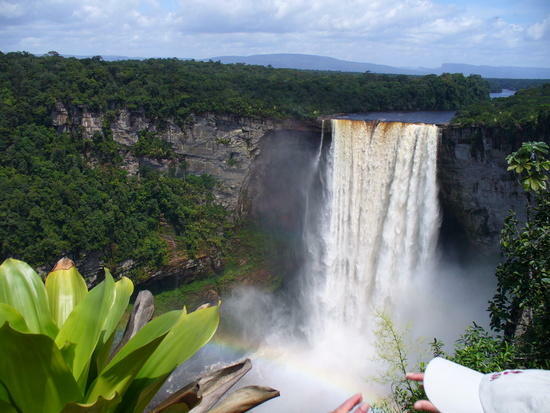 I am deeply conscious of the enormous scale of ambition that Guyana’s low-carbon vision represents. But the world needs ambition that is commensurate with the challenge we face. I am confident that our consultation will show the world tha t the people of Guyana stand ready to play our part – I hope that the international community is ready to do the same.